Renaldo Strayhorn, Ph.D., LMFT: Happy Valentines Day -- With or Without Strings. Wouldn't it wonderful to grow symbolic hearts as fruit from trees. And then these heart like leaves could be plucked off or blow into the wind spreading love all over the area. Well... and then there is reality. Do we really the origin's of Valentine's Day? So often we get tranced with the commercial roses and pressure of capitalistic romance that we might lose focus of what we are celebrating. With the busy schedule or the dull of life we forget to define what we want in romance. Some could argue that you should have mindful moments not just once a year. Yet, could there be value in having one day that is recognized as catering to romance? many especially by those who love chocolate, and flowers. But, the day can represent failure for those in a bad relationship; failure for those who are inept in the art of seduction and romance; and failure for the single by default. So, taking control of your Valentine's Day might be allowing you to control the day instead of the pressures of capitalism stressing you out. Notice how kids in elementary school embrace Valentine's Day? We might learn from children. 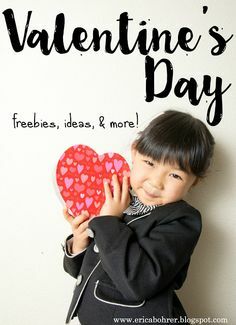 Whimsical, unconditional candies and little cards to all the classmates! Maybe we as a community can just stop and use Valentine's Day as a reflection of positive thoughts and a forecast of unconditional loving gestures. So, the day could not strictly represent roses and dinners and flowers. Just look at kids. Their classrooms are filled with those corny quirky cards just focusing on friendship.